Vendor faces an inherent contradiction it has yet to resolve - if Windows 10 is the last Windows ever, why has it set time limits on support? Microsoft has backed off a possible confrontation with customers who had been told their two-to-four-year-old PCs were unfit for Windows 10, a sign, said one analyst, that the company remains unsure of its support strategy for the OS. Earlier this year, Microsoft blocked a class of low-end personal computers - those equipped with Intel's Atom system-on-a-chip (SoC) processors, dubbed "Clover Trail," part of the "Cloverview" architecture - from receiving the Windows 10 Creators Update. Also known as 1703 in Microsoft's year/month parlance, Creators was the first feature upgrade of the year, and the third since the operating system's launch. Those Clover Trail-powered devices were made and sold between 2012 and 2015 - the latter the same year Windows 10 debuted - and many if not most were eligible for the free upgrade to 10 that Microsoft offered. But the company balked at serving those machines 1703, telling users in April that because Intel dropped support for four models of the Clover Trail SoC, the PCs "may be incapable of moving to the Windows 10 Creators Update without a potential performance impact." "They're still vague about the constraints to Windows 10 support," said Stephen Kleynhans, an analyst with Gartner. "They're still trying to figure out [support] themselves." Some background is required to put Microsoft's decision, or indecision, into context. Windows 10 suffers from a support contradiction. On the one hand, Microsoft has said that the OS will be the last version of Windows, ever, implying that it will be updated and maintained - "serviced" in the company's vernacular - for all time. Yet Microsoft has also set the usual 10-year limit on Windows 10 support, setting the end of its "product lifecycle" as Oct. 14, 2025, for almost all versions of the operating system. But Microsoft has stuck a different kind of monkey wrench into the works, one that raised questions when it was announced two years ago and was the cause of the recent consternation over Clover Trail. According to company statements of the past, Windows 10 was to be "supported for the life of the device," a timespan it never defined. In its own documentation, Microsoft gets more specific: "A device may not be able to receive updates if the device hardware is incompatible, lacking current drivers, or otherwise outside of the Original Equipment Manufacturer's ('OEM') support period," that documentation reads. This was the out Microsoft gave itself when it explained why it denied the Clover Trail SoC-powered machines the right to upgrade to Creators Update, aka 1703. "They require additional hardware support to provide the best possible experience when updating to the latest Windows 10 feature update, the Windows 10 Creators Update," Microsoft said. "However, these systems are no longer supported by Intel, and without the necessary driver support, they may be incapable of moving to the Windows 10 Creators Update without a potential performance impact." Later, Microsoft threw more fuel on the fire when it nailed down the support timetable for each feature upgrade. Its original plan - 12 months of support - was clearly too short, relying on a three-times-a-year release cadence. So, Microsoft extended the support lifespan to 18 months, that period defined by a twice-a-year release tempo. According to Microsoft, once the 18 months was up, a Windows 10 device would no longer receive security updates and other bug fixes. The only way to continue receiving those updates and fixes was to upgrade to a new feature upgrade. And that was a problem for Clover Trail. The systems would be stuck on the Anniversary Update, or 1607, which by Microsoft's schedule, would drop off support in March 2018. Last month, after the Clover Trail Catch-22 again cropped up -- ZDNet's Ed Bott led the way on July 17 - Microsoft gave in. While the company kept the door to upgrades beyond 1607 closed, it reprieved the devices from the execution of its usual no-security-updates order. "To keep our customers secure, we will provide security updates to these specific devices running the Windows 10 Anniversary Update until January of 2023, which aligns with the original Windows 8.1 extended support period," Microsoft said in an addendum to the April support document. That solution was easy for Microsoft to implement, as it was already committed to coming up with vulnerability patches for 1607 because that feature upgrade was designated a "long-term servicing branch" (LTSB) edition, the no-change version aimed at enterprises. Windows 10 1607 LTSB is to receive security fixes until Oct. 13, 2026, so Microsoft was going to quash bugs in any case. Does Microsoft know what it's doing? Microsoft has struggled to clarify Windows 10 support since before the Redmond, Wash. giant got it out the door, taking months, for example, to confirm that it would maintain the OS for the usual 10 years. And it's still grappling with defining policy, argued Gartner's Kleynhans. "They're being hit by the unexpected implications of things they hadn't considered," Kleynhans said when asked about the turn-about on Clover Trail. Under that explanation, Microsoft hewed to its promise to push hardware off the Windows 10 train when it decided that hardware was too old to run the OS. But it did not anticipate the blow-back, whether from users of the Clover Trail devices or the media, when people realised it meant an end to security updates, and thus a forced obsolescence of systems purchased as few as three years earlier. But Kleynhans contends that the Clover Trail snafu is a blessing in disguise. "This was a good wake-up call. It could be something bigger that runs into the same problem [in the future], Skylake or Haswell," he said, referring to Intel processor architectures that populate many times the devices of Clover Trail. Better to have an issue that affected millions of systems rather than hundreds of millions, Kleynhans said. Where Microsoft has stumbled has been in communicating how Windows 10 support works, why and how it's been changed when events superseded stated policy, and what new rules have been put into place. "Microsoft will come up with an answer in cases like this, but it must be communicated," Kleynhans said, implying that the firm has been less than stellar on the latter. "That's going to be the challenge for them." Although Kleynhans envisions Microsoft taking each instance of inadequate support as it comes along, "The goal would be to formalise that," he said. In cases like Clover Trail, however, Microsoft may not be able to set policies alone. "I imagine there will need to be coordination with Microsoft's partners," said Kleynhans, talking about chip makers such as Intel and AMD, as well as major OEMs (original equipment manufacturers) like Hewlett-Packard, Dell, Lenovo and others. It remains unclear how Microsoft will handle similar situations in the future if they arise. 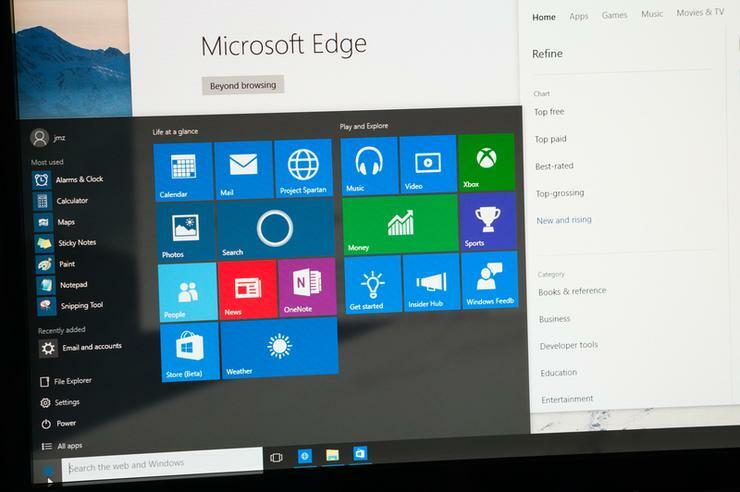 "This is definitely an area that [Microsoft] has to clean up," Kleynhans said of Windows 10's support policies. "It's still fuzzy."